Sublime Text has become by-far one of the best cross-platform standalone preferred editors for any kind of developer out there. It is light weight, supports almost any programming language and also has built-in SFTP support using plugins. And when we say cross-platform we actually mean it. The editor's GUI looks just the same on Windows, Linux (Ubuntu / Fedora / RedHat) as well as Mac OS. Currently in Version 3, we will look into how about installing it on your Fedora / RedHat system. Sublime Text 3 can be installed on Fedora Linux and Red Hat Linux (32 bit as well as 64 bit) easily using the tarball available on the Sublime Text website as there is no standard repository for sublime text 3 on Fedora, atleast one that I am aware of. We will tell you about two small shell scripts, one for 32-bit and another for 64-bit. This one will install it properly in the Gnome 3. Step 3: Run the shell script to download and Install Sublime Text 3. 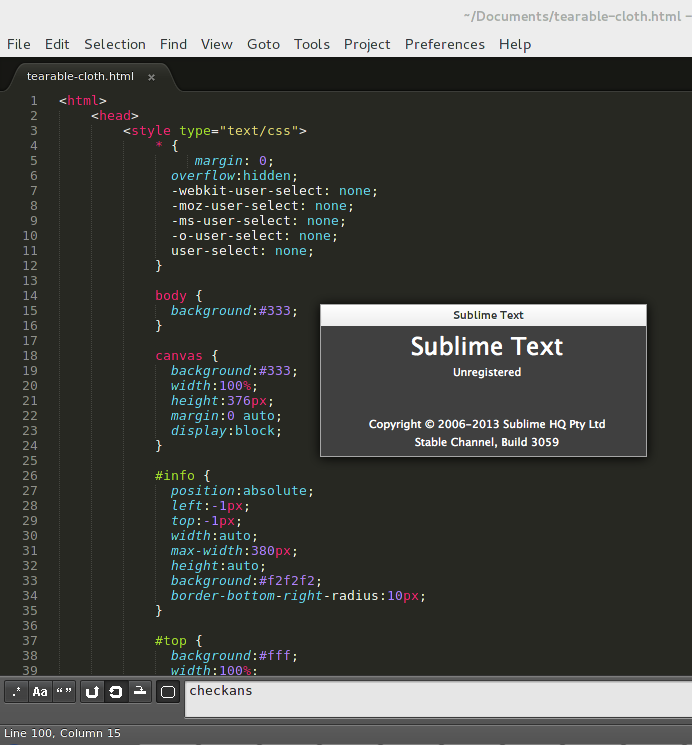 You can now launch the Sublime Text 3 from the menu or using the subl command. If you had installed Sublime Text 2 earlier using this, then it will have been over-written now with the latest version 3.